Closely tied to fall protection, scaffolding safety is an extremely important element to almost any construction job. Whether you’re erecting, dismantling or performing work on scaffolding, installed fall prevention and personal fall arrest systems have never been more important. 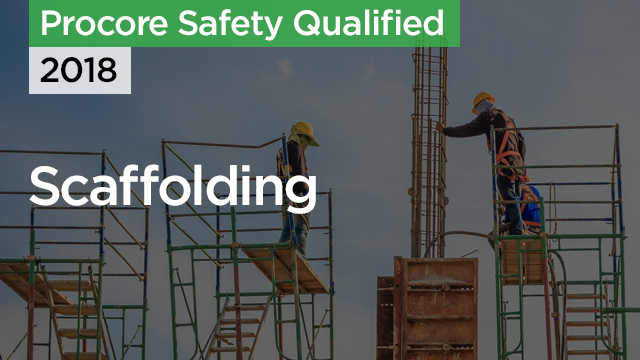 In this course, you will become familiar with the structural elements of a safe scaffolding system and the fall protection measures you are required to take. Recognize the fall protection measures that are most appropriate to the type of scaffolding system you may be working on. Learn how to ensure your scaffold system is stable relative to its height and width. Learn how to establish safe access to and from a scaffold system. Identify the workers that are qualified to design, load, and move scaffold systems.